So, Indian cuisine is generally not big on salads. There are vegetables a plenty on the offer but they are generally of the cooked variety. The closest thing you see as an ode to raw veggies is a simple plate of sliced cucumber, tomato, and radish liberally doused with lemon juice and sprinkled with tangy chaat masala. Chaat masala is a spice blend that contains many varieties of sour spices like black salt and dried mango powder or aamchur. You can find it online or at your local Indian market. I prefer the MDH brand if you can find it. It is so delicious that you can generally up the flavor oomph of just about any fruit or vegetable with lemon juice and chaat masala. It is especially good on sliced, ripe banana. But I digress. 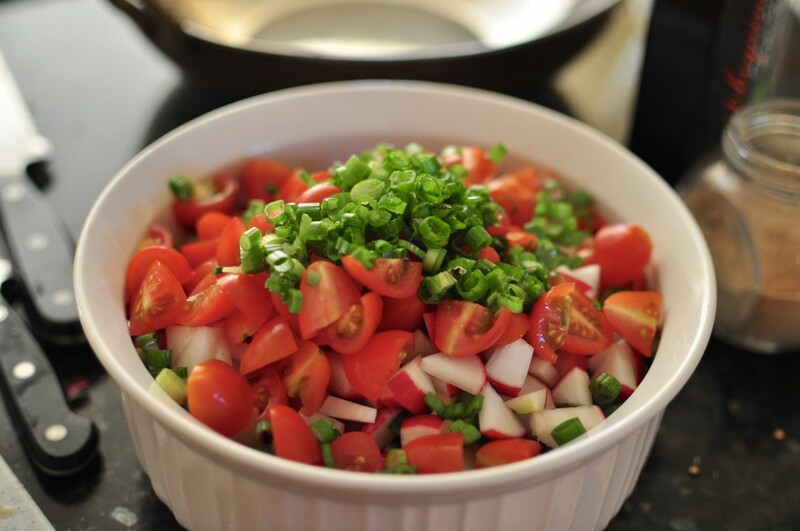 Back to the topic on hand – Indian salad. While I like the standard plate of sliced vegetables, I had a feeling it could be better. Inspired by refreshing chunky Mexican salsa, I figured the same treatment could be given to the veggies traditionally used on your typical Indian vegetable platter. I diced up radish and cucumber, added quartered cherry tomatoes and some thinly sliced scallions. I also added some finely chopped mint for its refreshing coolness. 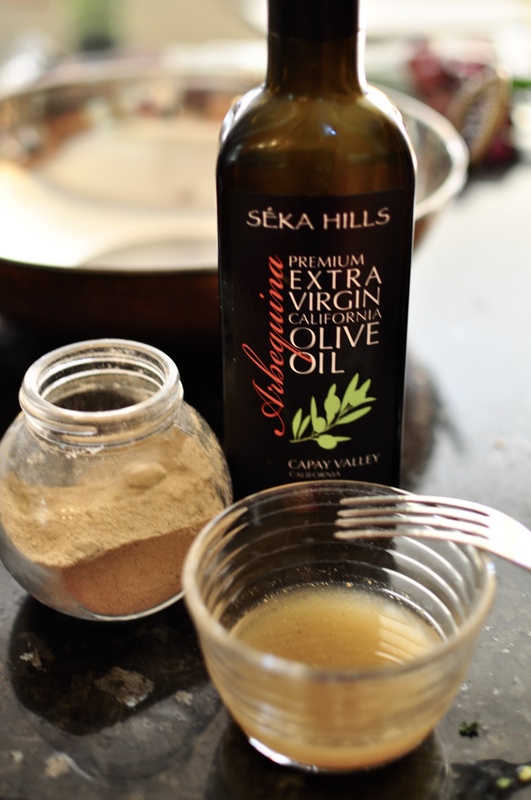 Then I doused the whole delicious mess in a four ingredient, lemon juice, olive oil, chaat masala, and salt dressing. I found letting the salad sit for at least 30 minutes did wonders for the flavor. I’m calling this concoction Indian chopped salad. This is the perfect light and fresh side to kali dal and tandoori ribs or reshmi kebabs. I have a feeling it would be wonderful scooped up on pita chips or tortilla chips too. And who doesn’t love a recipe that doesn’t require turning on the stove in the summer. You are welcome. A quick and easy salad inspired by your typical Indian veggie platter. Chopped cucumber, radish, and tomato are livened up with a tangy chaat masala dressing. 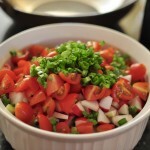 Combine the radish, cucumber, tomato, scallion, and mint leaves in a bowl. In a separate, smaller bowl, mix together the fresh lemon juice, olive oil, chaat masala and salt and whisk with a fork vigorously until it is combined. Pour the dressing over the veggies. Let the salad sit at room temperature for 30 minutes. Taste the salad for salt. I often find I need to add a little more and then serve.